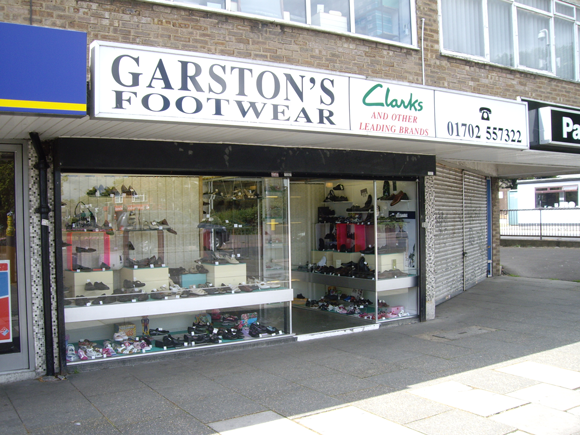 Garstons Footwear are a professional and friendly footwear retailers offering a great selection of shoes no matter on what the purpose or occasion is you are looking to buy for. Another successful visit! We always choose garstons for our children’s shoes. The staff are always friendly and professional and measure properly. When my son’s feet hadn’t grown, and so the shoes he had were fine, they told me and didn’t try to sell me anything unnecessarily (this has unfortunately happened at a Clarks store; they tried to tell me be needed the next size up when they’d just measured him at the size below). I feel Garstons is a shop I can trust. Always get my mum’s shoes here, she is 81 and we can guarantee to leave with no less than 2 pairs every visit. The service and range are excellent. Always buy my little girls shoes there. A great range for kids, and really lovely friendly and helpful staff. Took my 2 boys (5 and 10 yrs) to Garstons a few weeks ago to fit them for new school shoes. The staff made it (as usual) a painless operation – THANKYOU. I have been going there since my oldest was 2 years old – they are so professional and at the same time friendly, and always quick and efficient. I would never go there for my own adult shoes as the range I have seen seems to be aimed at a much older market. When it comes to my children’s shoes however I shop here all the time. They have a good selection of Clarks and Startright shoes and the measuring and fitting is excellent. Every time I have shopped there they have been very helpful fitting my kids shoes, I’m a regular customer.